You are working harder than ever. Is your current management system helping your church work effectively? maintain member contact information in one location? recall church business contacts, contract and payment info from the past? print your own photographic church directories? print member year-end tax statements? organize your membership into cells, small groups, classes? record pastor visitations and calls, with detailed notes? maintain your libraries - books, audios, videos? keep track of all your lists - prayer chain, to-do, supplies, bldg. repairs? organize your church calendar - services, meetings, special events? track member rolls and attendance - services, meetings, special events? avoid double-booking of resources - vans, sanctuary, rooms? monitor budgets vs. actual expenses, and financial records? If you answered "no" to any of the above, Working Church, our complete church membership software can pull your information together easily and affordably, providing 'instant recall' whenever you need information. Why Working Church for your church management needs? It's affordable. Church management software is our ministry and our passion. 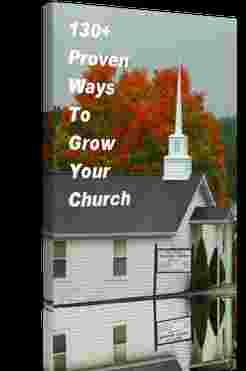 We want to help your church grow. You could call this church growth software because it tracks the details of your day to day operations while keeping your long-term goals and projects in front of you. It is also scalable, whether you have 15 or 3500+ members. It's quality software, created specifically for your church. Written by full-time computer programmers and business analysts who share a love for Christ and develop software for a living, this software incorporates input from pastors, church secretaries and bookkeepers. It's non-denominational in general, allowing for user-defined customization. Creating affordable software for church and Christian ministries is our lay ministry, and our passion. We strive to do our very best in everything we do. As Colossians 3:23 states: Whatever you do, work at it with all your heart, as working for the Lord, not for human masters (NIV). Please let us know if you have a specific need that you can not find in the software. We welcome your suggestions! It's easy to use. Screens are uncluttered, easy to read and use. Everything is well thought out. Data is where you would expect to see it. So intuitive you can start using it immediately, even after you see the software for the very first time. So, even if you have never used church software before, this software is for you. If you already have church software, we can probably capture your current information and get you started quickly. You may not have to retype anything. Be sure to ask about our data coversion abilities. Why not discover for yourself the benefits of our church membership software? No matter how small or large your church, our church software will deliver as your church grows. Whether you are currently leading 15 or 3500+ members, Working Church software is ready to help with all your church accounting, church membership, and general church management needs. To get your free demo copy of Working Church click here. This fully-functional version of our full church management software will allow you to enter up to 25 of your own members, families or groups and test drive the program completely. If you're looking for free church membership software or free church management software, get a copy of our church software demo and use it until your membership grows over 25 members. To purchase Working Church Light, our complete Church Membership software, or Working Church Standard, our full Church Management software click here. Desktop and Cloud versions are available to meet your needs. Both come with a free copy of 130+ Proven Ways To Grow Your Church. For a complete list of the differences between the membership and management versions click here. To email us, ask any questions you may have, or request a call to talk a little bit more about the software click here. Please look around our site to get a complete picture of who we are and what Working Church is. While you're looking and thinking, feel free to imagine what the software can do for you, your church, and your ministries. We appreciate for your time visiting with us. We pray that God blesses you and your ministry richly for the service you're providing in building His Kingdom. Working Church is a complete church membership management software system for new, small, medium and large churches. Consider it growth management software - designed to help you track church attendance, member contributions and every other facet of managing your church ... all at a very affordable price, in one easy to use place. The development and support of Working Church software is a ministry of Brothers In Christ Software.